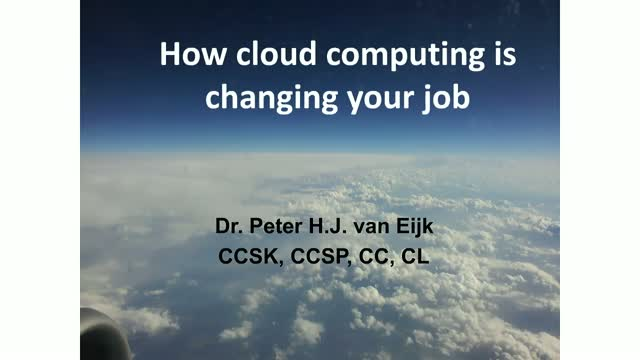 Cloud computing is a disruptive change in the way we organize information technology. Yet, it is the inevitable result of many years of development. The amount of technology that we manage is growing at staggering rates, forcing us to change the way we handle that. That new way is the true essence of cloud and understanding that will enable you and your team to excel at fast and secure cloud adoption. Cloud doesn’t just replace existing ways of running IT, but it also facilitates new applications and approaches. The webinar gives some examples. Finally, you will uncover some learning resources to enable you to drive this change to you own benefit and the benefit of your team.